The notification is for hiring 4 assistant professors of law, and one assistant professor in political science, all under UGC pay bands and qualifications. 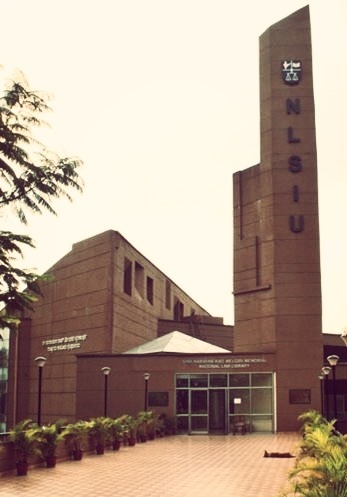 NLSIU’s student bar association (SBA) is understood to have been instrumental in convincing Rao and the administration to make a call for permanent faculty, commenting: “The Student Bar Association welcomes the notification issued by the University, which was being considered for a while, for the recruitment of permanent faculty. NLSIU had last recruited a permanent professor - Dr Ashok R Patil (pictured) - into its consumer law chair in August 2008. Since Rao had joined NLSIU as vice chancellor in May 2009, we understand that all faculty appointments had been made under ad hoc contracts, which are usually renewable annually at the administration’s discretion. We reached out to vice chancellor Rao for comment via SMS; he said he had nothing to add beyond what had been notified on the NLSIU website. When we asked Rao for reasons as to why no permanent recruitments had taken place in the last 9 years, or if there was any advantage to hiring faculty on contract, he did not respond since yesterday morning. One academic explained that non-permanent faculty fixed salaries are usually lower than UGC pay scales. The above can result in high temporary faculty staff turnover, who may get better pay and tenure at other NLUs or other universities. The NLS website states that it is “seeking talented, committed and dynamic legal minds in different areas to join as Faculty for fulfilling its mission and invites applications for the following posts in the pay bands mentioned below”. The pay bands for the roles are specified as “15600-39100 AGP 6000”. Pay has nothing to do with it. It's all about control and reserving a threat of dismissal, much like what was done with Sid Chauhan. The actual story is that the VC was forced into doing this by the student body. The sheer incompetence of the VC is laughable. He has been in office for so long without any progress in the University. The ad-hocs such as [...] (Nandi's crony), [...] (poached from Christ), [...] (who people sympathise with), [...] (that guy who knows nothing), [...] (who told students she won't raise her voice because anyway no one listens to her) etc. should not be appointed. Kunal and Rashmi, on the other hand, and exemplary examples of ad-hoc faculty that need to be hired. The SBA should now make a list of all alumni who are in academia, and write to them inviting them to apply. When he started his first term dozens of alum reached out to him. Instead of some degree of enthu all they got were evasive noncommittal replies and copies of his ridiculous diary of proverbs. After the 2013 reunion people stopped taking interest. It's a shame that wretch got an extension. The real test for the SBA will be the selection process. SBA should insist on demo classes by potential recruits, with anonymous student feedback which should be taken into account in the hiring process. This used to happen in the past, but I'm sure will be strongly resisted by any admin that's interested only in pushing through their cronies. Kudos to the SBA (especially the representatives) for their tireless campaign. Similar story with electives. Governing councils comprising of public officials across the country (who rarely meet, forget forging consensus on college issues) makes such change nearly impossible. Hope the next representatives will work to improve this! Kian - please could you do a fact-check? Patil is not the last "permanent" faculty hire. He was selected for the specific purpose of working at consumer chair. Technically speaking, he is not a member of the faculty. It's a scam that he has managed to get himself shifted to teaching faculty. Could you ask SBA for a statement [...]? NLSIU is glad to have Aman Saxena as President of its Student Bar Association. He has been amazing and instrumental in bringing a lot of changes this year. This was pursued with the administration for 9 straight months. Kudos to him! Sorry but I disagree. You must be a Modi supported (happy only with words and little action). A really effective president is one who can overhaul the system and end the reign of terror by corrupt, nepotistic and also regionally biased admin (Sid Chauhan would not have faced such treatment if he had been from Karnataka/AP). A really effective president is one who can replace the incompetent profs with alumni who have degrees from top universities abroad and excellent work experience. NLSIU (and other NLUs) have brilliant students who can shine on the world stage, but sadly the faculty is of abysmal quality, not even fit for a village school. Apart from being incompetent, they are also insecure and prevent good teachers from being hired, especially alumni. In foreign law schools all the class toppers opt for teaching but not in India. The few NLU alumni who go into teaching opt for Jindal, despite the bad students. This is not just for the pay but also for the freedom and support from admin. Kindly clarify the article below. Is NLU Aurangabad starting this year? And will they really give 30% state reservation? Is that allowed? A complete shame that NLUD, Jindal and Azim Premji attract NLS alumni but NLS gets alumni of obscure colleges. Rao must be held accountable and give answers. While you are at it, do an expose on their fradulent so-called PhD degrees. Find out which is the university that sold them the degrees and who were the guides? Were the guides of the same caste? Agreed. This is the scam of the century. Most of the law school fac have phds from trash colleges which are nothing but cut and paste jobs. Wonder why students don't demand that the lectures of each member of the faculty be videographed and placed on youtube? Given that it is fashionable these days to pass off videos of guest lecturers as advancement of legal education, surely the teachers of so-called "Harvard of the East" shouldn't have much of an issue with it. Please begin the exercise with lectures of the current UG Council Chairperson. "Off course" if there is ever a merit-based recruitment at NLSIU it doesn't look like you will be in the reckoning. If you keep aside Prof. Ashok Patil's appointment to the consumer law chair in 2008, the last round of recruitments to regular teaching positions at NLSIU Bangalore had happened in September 2006. Since then, there was another call for applications in May 2013 but the interviews were never held. 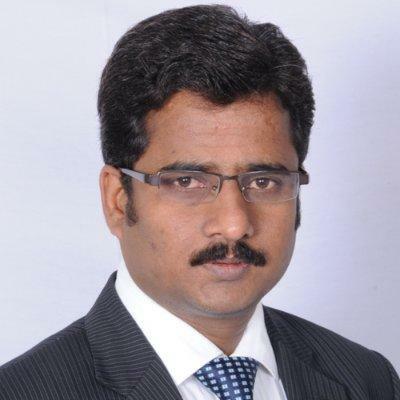 Just got news that Sidharth Chauhan has been regularized at NALSAR along with two others. His removal from NLSIU in 2013 is among the worst decisions in that institution's history.